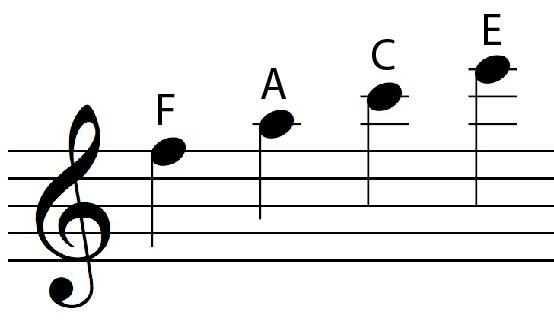 This tutorial will show you how to read the upper ledger lines on the Treble Clef. 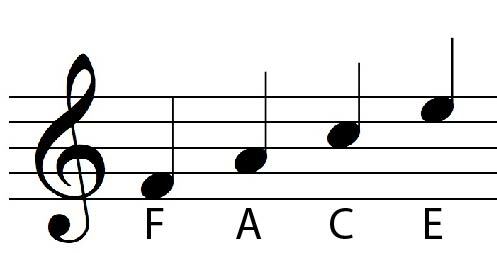 You may know already that the spaces on the treble clef spell the word "FACE". The notes on the lines above the staff also spell FACE. To find the name of a given note, just say each letter until you get to the line in question. To find the name of a note on a space, name the line it rests on, then go up one letter in the alphabet. Now you know enough to read the notes on the upper treble clef. Click on the link below to test your knowledge.